WORKMASTER® actively participates in all industries in which unloading hopper bottom railcars and powder and bulk material handling is involved. We participate in tradeshows nationally and we are an active partner in the major trade associations which govern our industry. Below you will find our current trade show schedule. 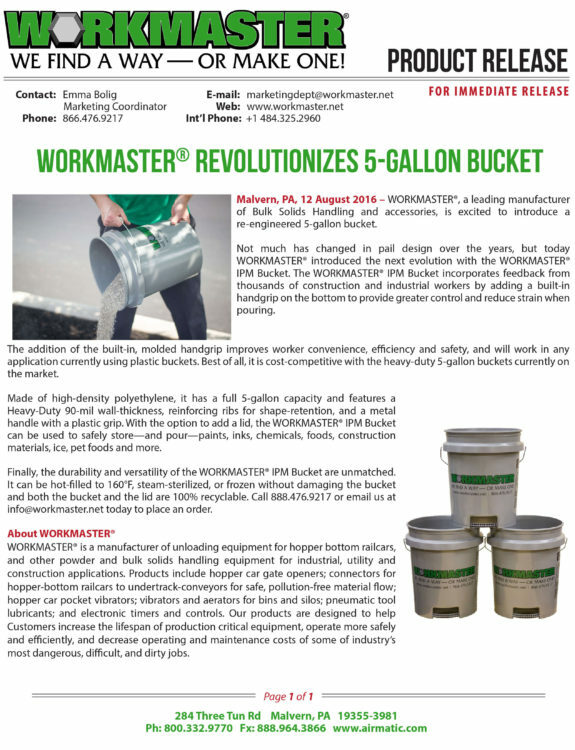 Please email any questions to info@workmaster.net.